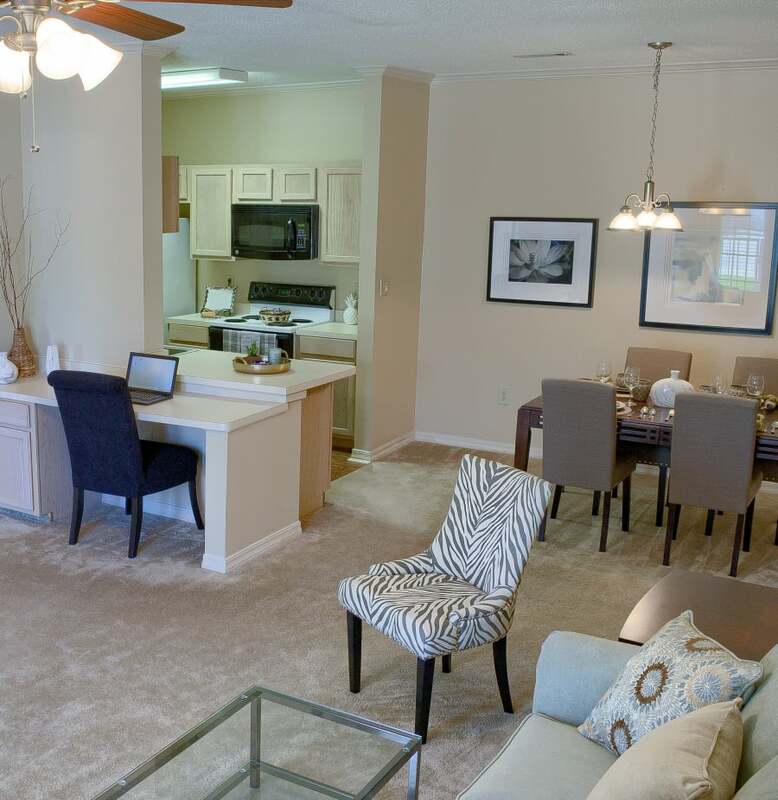 Live large when you rent a one, two, or three bedroom apartment from The Grove in Biloxi, MS. Floor plans range from 925 square feet for a one bedroom to 1,447 for a three bedroom, so you can enjoy your space no matter which apartment you choose. You’ll appreciate the convenience of washer and dryer connections, air conditioning, and ceiling fans in each of our homes. A private balcony is a wonderful spot to add a comfy chair or bistro set and enjoy your morning coffee. Large windows and high ceilings create a bright atmosphere throughout your space. Each of our floor plans include extensive closet space for keeping your wardrobe organized, and elegant crown molding, wood-style flooring, and vaulted ceilings create a stylish backdrop for your favorite furnishings. Choose from one, two, and three bedroom apartments in Biloxi, MS, that feature beautiful design and modern finishes. Choose an upgraded apartment with a fireplace, hardwood-style floors, and vaulted ceilings for an enhanced feeling of comfort. All of the homes at The Grove include air conditioning, which helps keep you comfortable no matter how humid it may be outside. You can also expect to find washer and dryer connections for your convenience in all of the apartments at The Grove. Browse our selection of floor plans and then contact us to arrange a private tour of your favorite layouts.